The Weight Watcher: Raw food diet: does it work? Recently I've been enjoying Nakd raw bars - they're absolutely yummy - so it only makes sense to consider the benefits of the raw food diet. Before making any decision it's worth studying the research available... as well as people's personal experiences. 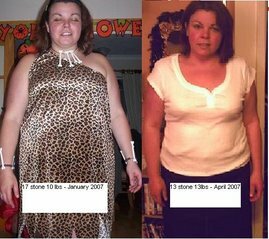 Steve Pavlina challenged himself to 30-days on the raw food diet. His blog records every meal he ate during this time, as well as blood sugar readings. It's really interesting stuff. While there are many benefits to this raw vegan lifestyle, there are some drawbacks, such as dry skin. That said, I'd rather have dry skin than a heart attack! no Whites - just say no to refined white flours, sugars, etc. Greens - eat lots of greens, even as a juice. Wholefoods - aim to eat fresh plants and avoid pre-packaged foods. GreenSmoothie suggests that eighty per cent of your diet should be raw to be considered a raw food enthusiast. More info on raw food choices.